Dr. Labbe's research is focused on addressing critical issues with sustainable energy for transportation through the interface of chemistry and engineering. Dr. Labbe works on the development of robust chemical kinetic models using state of the art theoretical methods to accurately unravel chemistry relevant to practical energy problems. 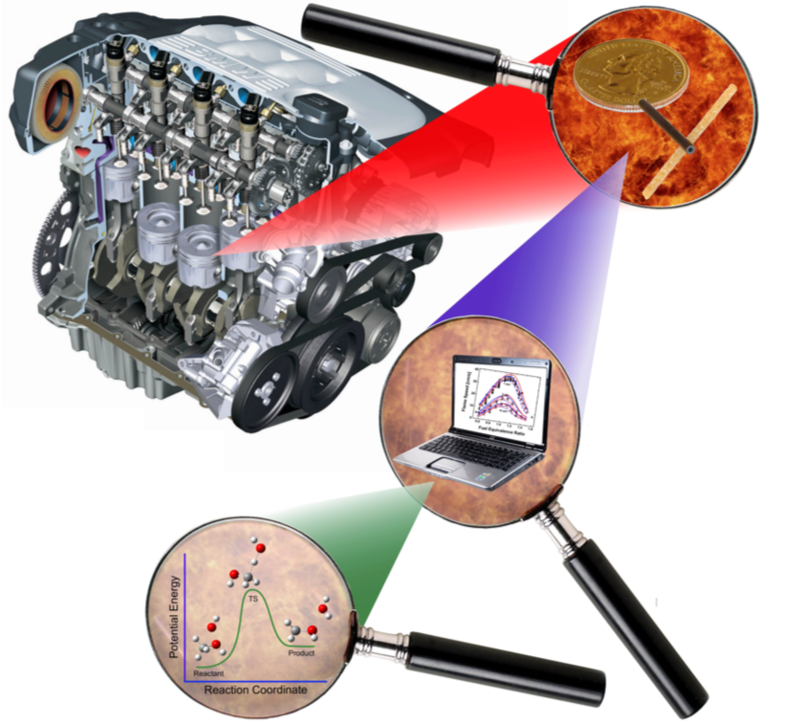 These computational models, combined with complimentary micro-reactor experiments to determine the short time scale chemical steps in combustion and low-pressure flat flame experiments to measure how the chemical composition of a flame changes from the burner to the exhaust, assist in unraveling the puzzle of how fuels operate in extreme temperature and pressure environments found in engines, turbines, and rocket thrusters. This work is further supported through her experimental efforts utilizing advanced chemical detection methods with micro reactors and low pressure flame apparatuses. This work is used to facilitate the development of new technology to increase fuel efficiency, decrease harmful emissions, and reduce dependence on non-renewable energy sources. the Department of Energy - Basic Energy Sciences under Award # DE-SC0018627 titled "Fundamental Studies on Methyl Esters: Kinetic Measurements and Reduced Models"